From 3D printers to innovative startups, California is changing the world and its economy. A Southern California startup with deep roots in France and China wants to change the way you think about your daily routine and the common household products you use all the time. Dagoma, a high-tech venture in the small town of Goleta in scenic Santa Barbara County in the hills above Los Angeles, may not be well known now. But CEO and co-founder Matthieu Regnier thinks that’s about to change. From lamps and toothbrushes to pots and pans, the Neva is designed to make everyday household objects, whether simple or complex, and to make them ecofriendly using biodegradable materials. The idea was to produce a 3D printer and make it available and affordable in the fastest-growing markets around the world. Regnier says Dagoma found exactly what it was seeking on the coast of Southern California. Big ideas are the name of the game in California. To support ideas like those of Dagoma and other startups, California recently launched the iHub program. 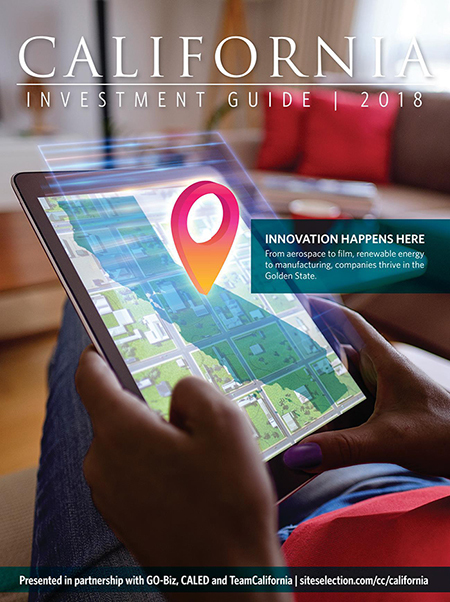 The California Governor’s Office of Business and Economic Development (GO-Biz) supports 15 designated Innovation Hubs stretching from San Diego to Redding. Steve Jobs Theater at Apple Park in Cupertino. These iHubs stimulate partnerships, economic development and job creation around specific research clusters. The iHubs leverage assets such as research parks, technology incubators, universities and federal laboratories to provide an innovation platform for startups, economic development organizations, business groups and venture capitalists. The Innovation and Entrepreneurship Unit with GO-Biz is the state’s primary point of contact for promoting California’s innovation infrastructure. GO-Biz employs iHub coordinators in 15 locations around the state, including Chico, Fresno, Los Angeles, Palm Springs, Riverside, San Francisco, San Jose, Stockton and Sacramento. The San Jose iHub, in the heart of Silicon Valley, brings together partners such as San Jose State University, Stanford University, University of Santa Cruz, San Jose BioCube, Lawrence Berkeley National Laboratory and the Joint Venture Silicon Valley Network. The San Jose iHub also ties together some 20 accelerators, incubators, makerspace and co-working spaces into a highly advanced “urban tech ecosystem” that supports entrepreneurs, inventors, makers and other creative types throughout the area. By all accounts, the iHub program is paying dividends. A recent study ranked U.S. universities by the number of alumni entrepreneurs who got the most funding or had the most valuable exits for their companies in the past 12 months. Stanford alumni ranked No. 1 with 138 exits, while UC Berkeley ranked No. 3 with 45 exits. UCLA ranked No. 10 and USC ranked No. 11. The Kauffman Index of Startup Activity also confirms that California leads the country in successful innovation and entrepreneurship. Kauffman’s 2017 index ranks California No. 1 in the nation in producing successful startups. Among large metropolitan areas, San Jose ranks No. 6, San Francisco-Oakland ranks No. 7, and San Diego ranks No. 12. Cushman & Wakefield’s annual Tech Cities study, which ranks the Top 25 Tech Cities in the U.S. each year, showed that San Jose (Silicon Valley) remained the nation’s top technology market for job growth, income growth, net absorption of office space, and rent growth. C&W ranked San Francisco the No. 2 top tech market, while San Diego ranked ninth, Oakland-East Bay ranked 13th, and Los Angeles ranked 18th. 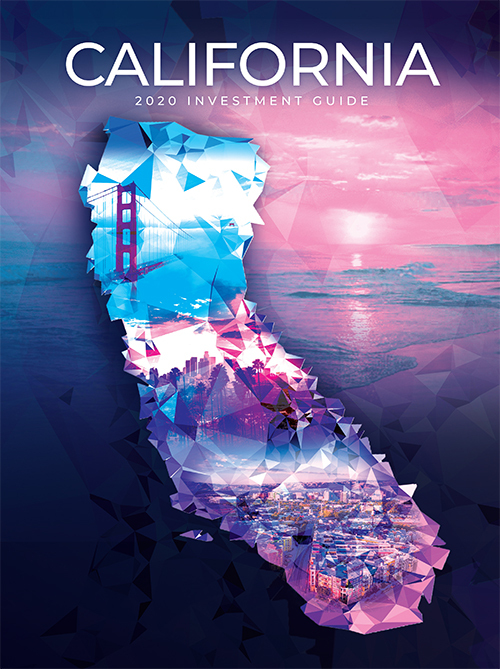 Finally, CityLab took a look at the nation’s top venture capital markets and concluded that San Francisco and San Jose ranked first and third, respectively, in total venture capital investment in 2016, with $23.4 billion and $6.7 billion. Other top-performing VC markets in California last year included Los Angeles at No. 5 with $5.5 billion and San Diego at No. 6 with $1.55 billion, CityLab reported. Will TrustBelt Land Fisker Auto Plant? : Electric car maker says sites in 11 states being considered for large factory investment. A Frank Discussion on Cleveland: This month, we introduce a new TrustBelt Report feature called From the Mailbag. The Golden State's ideal business climate brings innovations to the forefront while its people and companies prosper.